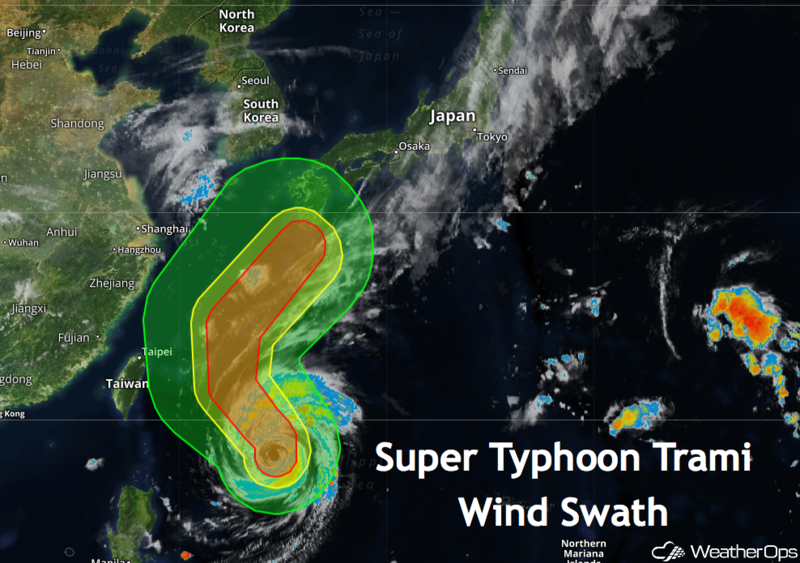 Super Typhoon Trami is currently heading for Japan. This massive cyclone has winds equivalent to that of a Cat 4 hurricane. There are numerous small islands in its path, including Okinawa where a US airbase is located. There have been many amazing images of this typhoon. Here are a few. 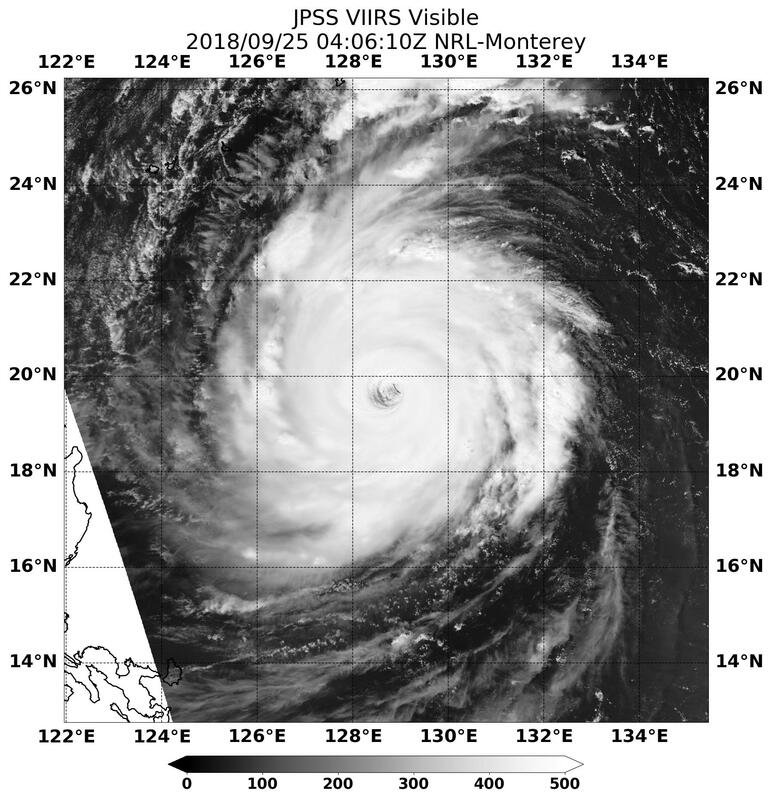 Earlier this week, Trami underwent an eyewall replacement cycle. This action happens when the current eye contracts so much that the outer eyewall takes over and forms around the old one. As this occurs, the storm usually weakens. When the replacement is complete, the hurricane may again intensify. The larger eye has lead to some awe-inspiring images taken from the Himawari satellite and the International Space Station. In this image, you can see not only the size of the typhoon, but also the giant eye in comparison to the island countries nearby. Trami is currently heading straight north but is expected to curve towards Japan. Trami has shown signs of weakening today. It is only moving at 1 mph and therefore it is losing the ocean heat on which tropical storms feed. This slow speed should provide plenty of time for evacuations and storm preparations to take place. WeatherOps shows the damaging wind swath extending past the Ryukyu Islands and into the southern tip of Mainland Japan. This storm will be one to watch over the next few days. Those with RadarScope should keep an eye on the RODN radar in Kadena, Japan. There should be some pretty impressive images as it passes by.